We’re more than halfway through the NewCo festival season, with Amsterdam, San Francisco, Detroit, New York, and London/UK behind us, and Silicon Valley, Boulder, and Los Angeles coming up. Next up is Silicon Valley, which goes off Oct. 21 – 23, centered on the axis of Palo Alto. This year’s Silicon Valley festival is a pilot – Silicon Valley is more of an idea than an actual *place* per se – and NewCo tends to thrive in city centers. But we’ve found a great partner this year in the city of Palo Alto, which really is as close to the beating heart of the Valley as any city in the south Bay. After all, it’s where Google, Facebook, and hundreds of other game-changing companies started. So this year we’re piloting NewCo Silicon Valley in two parts – first with visits to a small number of legendary Valley company campuses, and second, with a full day of 30 or so companies based in downtown Palo Alto. Here are the companies I plan to visit this year, and why, along with my “runners up” – companies I wish I could also visit, were there two of me. 10 am session: Tesla Motors – Who doesn’t want to get inside this company? Tesla is an exemplar NewCo – using an information-first approach to rethinking a huge market, mission driven, and an inspirational working environment. Runner up: eBay. I visited eBay early this year and was struck by how much its headquarters had changed, from a cube-driven IT farm feel to an open, information-sharing design that mirrored some of the best offices I’ve ever been in. 1 pm session: Google – I’ll admit, I’ve been to Google a few times already, but every visit is fun, this one will be about the driverless car project. Both of these sessions are already full, but there’s a waitlist, and past history shows that the waitlist does clear more often than not. Evening: The VIP Kickoff. This is an invitation only event, but readers of this site can get in by purchasing a VIP ticket here. The kickoff is a celebration of NewCos (we’ll have five or six presenting quick overviews of their sessions), and in each city we pick a speaker who is emblematic of the region. In Silicon Valley, I’ll be interviewing Ro Khanna, candidate for the Silicon Valley’s congressional seat. Read more about Ro here. Also speaking will be the mayor of Palo Alto. The event will be held in the offices of Survey Monkey, a fixture in Palo Alto with an awesome rooftop deck. 10 am – Xapo. I’m fascinated by the bitcoin story, and the impact many smart folks claim is coming thanks to the blockchain. Xapo founder’s and CEO promises a “bit coin deep dive” in his NewCo session, and I’m all in to learn more. Runner up: HealthTap, Science Exchange, and Survey Monkey. Oh, and City of Palo Alto. What a time slot! 12 pm – Citi Ventures. Very large companies have been coming to the Valley for decades, eager to figure out how to learn and invest in innovation. Citi has embraced this idea for some time, but I’ve never seen how it’s Venture arm works, and I’m eager to learn. Runners Up: Mightybell and Cloudera. 2 pm – Medallia. I am a sucker for any company that has at its core a promise of making customer service and experience better through data and UX. The Sequoia-backed Medallia does both. Runners Up: EAT Club and Fundly. 4 pm – Houzz. I knew that Houzz was a NewCo when I asked my wife if she’d ever been on the site, and she responded “I live on that site. How did you find out about it?” – it was as if I had discovered a secret passion of hers. Runners up: Piazza and WePay. 10 am – LinkedIn. I just love this company and it’s been a while since I’ve visited. To me, LinkedIn is the ultimate NewCo when it comes to how work is done. It’s almost full, so sign up now! 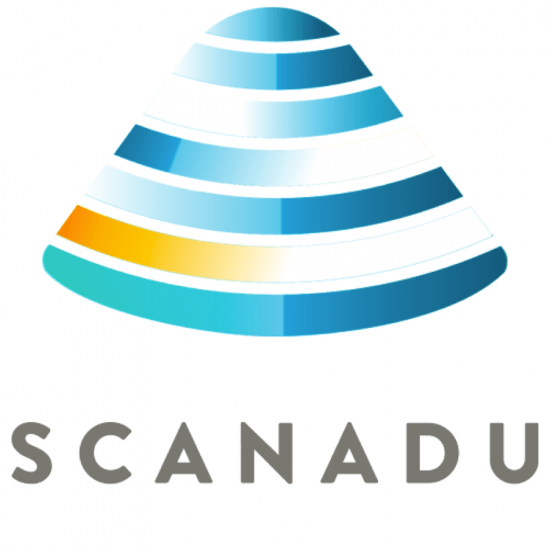 12.30 pm – Scanadu. This innovative health device company is all about the patient revolution – putting power back to teh patient. Oh, and the company is at Nasa Ames, how cool is that? Runners up: Duarte and Polyvore. 2.30 pm – Yahoo! This Valley legend has so much going on. How will it spend its Alibaba billions? Is Mayer’s turnaround working? Who wouldn’t want to get inside and see how the sausage is made? If you haven’t experienced a NewCo yet, registration is free, and the experience is extraordinary. More than 10,000 people have experienced NewCo so far – it’s just plain fun to go and, to my mind, a far better use of time than sitting in a dull ballroom all day.